Rejuvenate your aging road surfaces with a refreshing ACP Applied Products fog seal. As roads bake beneath the sun, heat and oxygen can contribute to oxidation: the hardening of the bitumen binder. This results in a brittle road surface that can chip and crack easily. A fog seal will help regenerate the brittle bind, lock in stones and improve stone retention when used on chip and gravel seals. Thanks to their versatility, fog seals are an excellent choice for renewing roads. 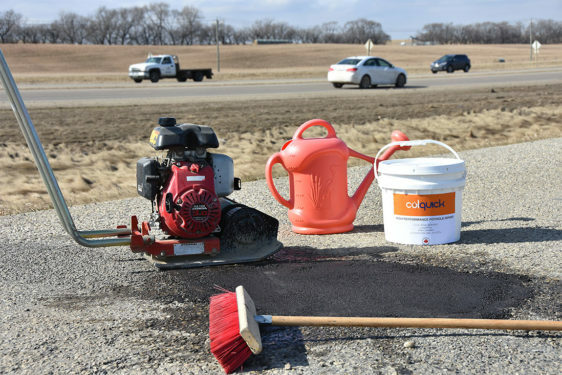 With the options of using a trackless emulsion that won’t pull off onto tires, quick setting emulsions to get traffic going again sooner, or a sand seal that fills in larger voids and restores texture, ACP Applied can provide the sealing and rejuvenating service you need to maximize the lifespan of your roadways.